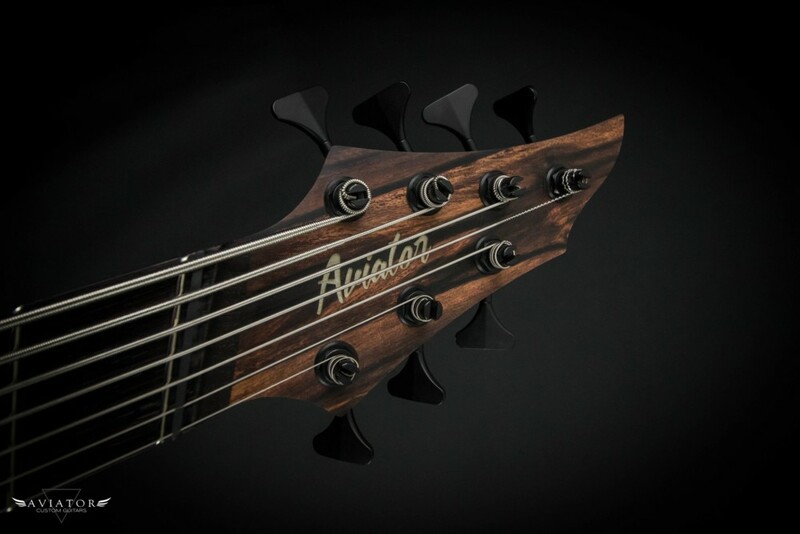 Taking after the massive combat aircraft, this Bomber 7 from Aviator Guitars drops thunderous notes with an incredible seven-string multi-scale design. 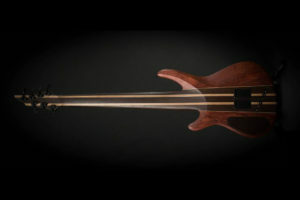 The longest string has a scale length of 37.5 inches, which is a solid 3.5 inches longer than a traditional bass scale. 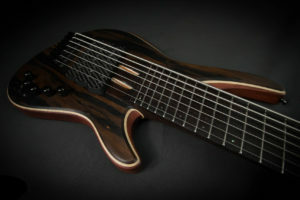 In fact, the model was created just for this particular feat. 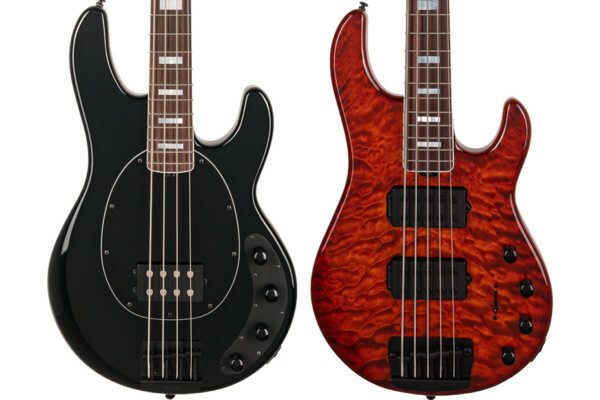 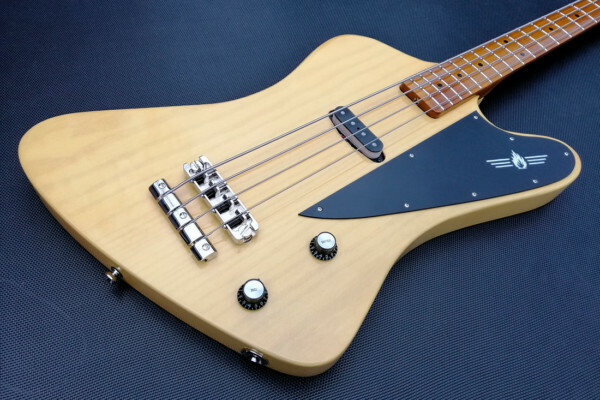 “The Bomber model was developed specifically for this project and oversized to accommodate the long Scale and balance the heavy neck,” Aviator writes, adding that it also comes in four- and five-string versions. 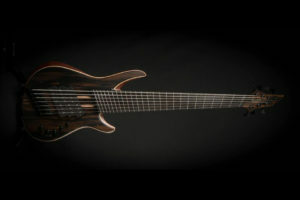 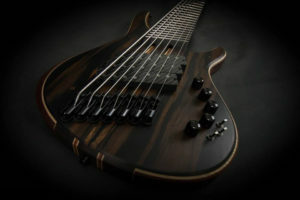 The monstrous bass features neck-through construction with a nine-piece wenge, maple, and mahogany neck fitted with bubinga body wings and a wenge fretboard. 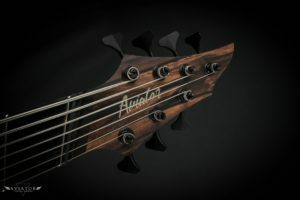 Its body is topped with a layer of flamed maple, which is then capped with a rich ebony complete with a matching headstock. 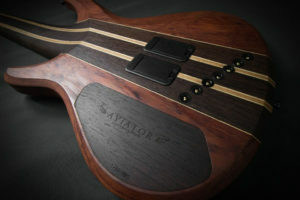 Aviator fitted the Bomber with three Elysian custom P-Split pickups with carbon fiber covers. 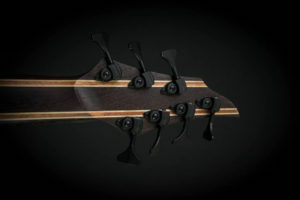 Its control section has all the bells and whistles: an active/passive switch, series/parallel switches for the neck and bridge pickups, a four-way rotary switch, and a Darkglass Electronics Tone Capsule. 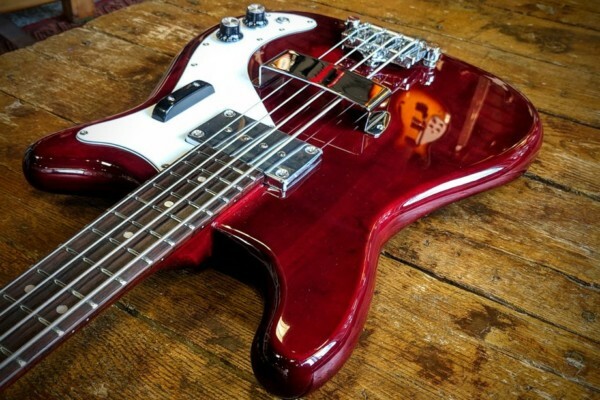 Weird tuning. 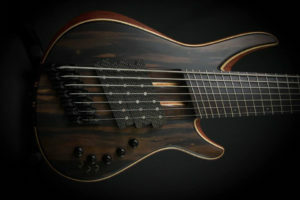 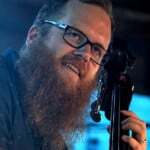 Double dropped 7th and 6th strings but then the major third between 3rd and 2nd strings like a guitar? Ummm, OK. She’s a beauty, though. 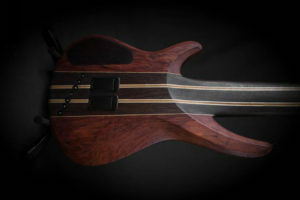 What I would do to have a left handed version of that..
No comment, but would love to know where can I purchase this product from in Rochester Ny.